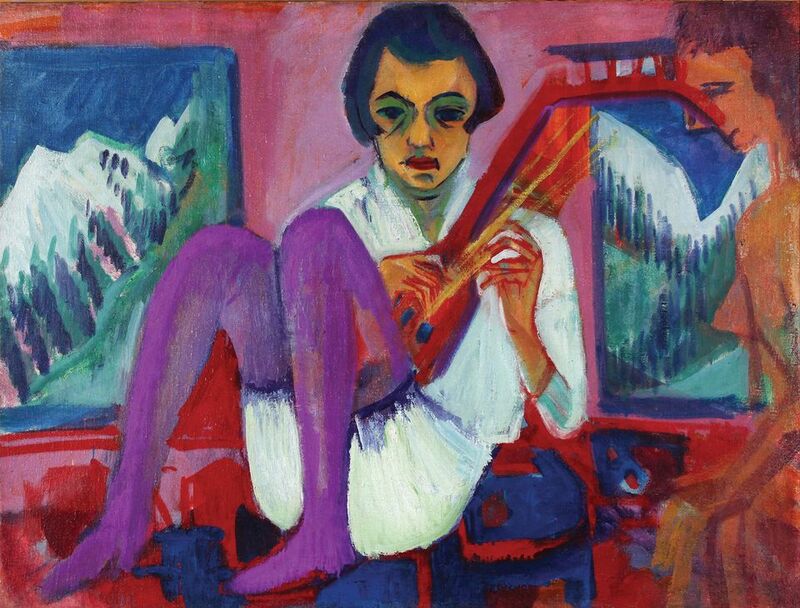 The Expressionist artist Ernst Ludwig Kirchner never travelled beyond the borders of Germany and Switzerland. His passion for the exotic and foreign, revealed in his furniture, his writing and his art, was mainly aroused by ethnological museums, cabaret shows, circuses, magazines, and the travels of fellow artists such as Paul Gauguin and Emil Nolde. A new exhibition opening this week at the Bundeskunsthalle in Bonn, explores Kirchner’s fascination for far-flung places and alien cultures. 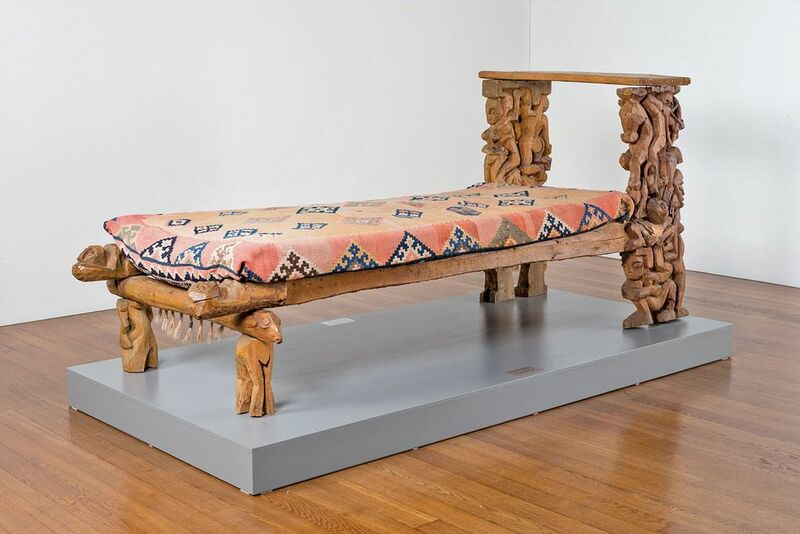 Alongside around 60 paintings, exhibits also include a stool from Cameroon that furnished his bohemian studio in Berlin, and a bed he carved for his wife, Erna Schilling. It will be the first time the bed has been displayed outside the Kirchner Museum in Davos, which is one of 41 lenders from seven countries. The energetic, raw portrayals of people and animals are in part the product of years of intensive study by Kirchner of African and Indonesian wood carvings at the Ethnology Museum in Dresden, whose collection was being added to as German colonialists acquired artefacts from newly conquered territories. But also reflected in the show—and in the bed in particular—will be Kirchner’s later fascination with Swiss folk art, says the exhibition’s curator, Katharina Beisiegel. Kirchner’s interest in the strange and unknown had much to do with his yearning to escape the constraints of the bourgeois society surrounding him, Beisiegel says. In his studio, “he carved African-like figures and painted swathes of material to create an exotic refuge”. It was a world away from corseted, conservative Wilhelmine Germany, where “a stage was set to display anti-bourgeois creativity”, Beisiegel says. Kirchner relocated to Switzerland to undergo a series of treatments at sanatoriums for depression and addiction in 1917 and, condemned by the Nazis as “degenerate”, he remained there until his suicide in 1938. Continuing to work as an artist, “he found a lot of inspiration in Switzerland, particularly in the Alpine scenery and the colours”, Beisiegel says. The show has been organised with the Art Centre Basel.